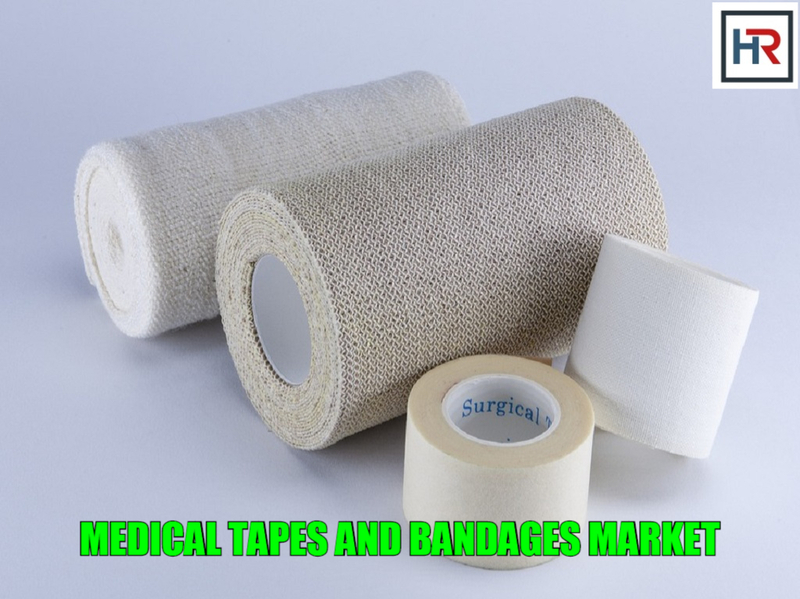 The Global Medical Tapes & Bandages Market is anticipated to reach USD 10.97 billion by 2025, according to a new report by Hexa Reports. Increasing geriatric population is resulting in increased incidence of chronic diseases and injuries, rising prevalence of ulcers, diabetic foot, and surgical procedures. These are among the key factors that are driving the market growth. Rising geriatric population base contributes to the market growth, as the people of this age group are expected to experience a growth in the prevalence of chronic wounds such as venous statis ulcers and pressure ulcers. According to estimates published by the WHO, the global population base pertaining to the age group 60 years and over, is expected to reach 2 billion in 2050. Increasing incidence of diseases such as pressure ulcers, diabetic ulcers and venous stasis ulcers is likely to propel the growth in demand for advanced wound care products for treating these conditions. Wound dressing helps to improve the overall well-being of patients affected from the aforementioned disorders. According to the data by National Center for Biotechnology Information, in early 2017, chronic wounds affected ~ 5.7 million patients in U.S., and are estimated to cost USD 20 billion annually, thus impacting the market growth positively. Bandages segment accounted for the largest share in 2016 owing to the rising number of surgical procedures and rise in medical conditions. Surgical wound treatment segment is anticipated to dominate the market in the forecast period. The growth of this segment can be attributed by the increasing prevalence of diabetic foot, chronic heart disease, and lifestyle disorders resulting in rise in surgical procedures. 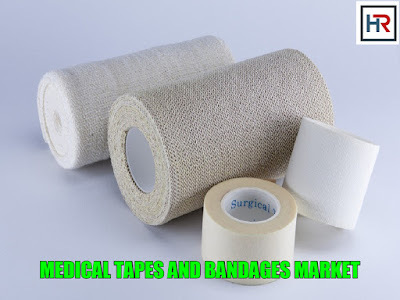 Asia Pacific medical tapes and bandages market is expected to grow with the highest CAGR over the forecast period owing to the large population of this region along with rising patient awareness levels regarding the diseases and wound infections and increase in per capita income. Major players of the market include, 3M, Medtronic, Derma Sciences Inc, Johnson & Johnson, Smith & Nephew PLC, B. Braun Melsungen AG, Medline Industries Inc., Paul Hartmann AG, Cardinal Health Inc., and Molnlycke Healthcare Inc.
Chapter 7 Medical Tapes & Bandages: Regional Estimates & Trend Analysis, by Product, Application, and End-Use.